We set a transition name on the image views by calling setTransitionName. This will identify the view with a unique name for the transition. 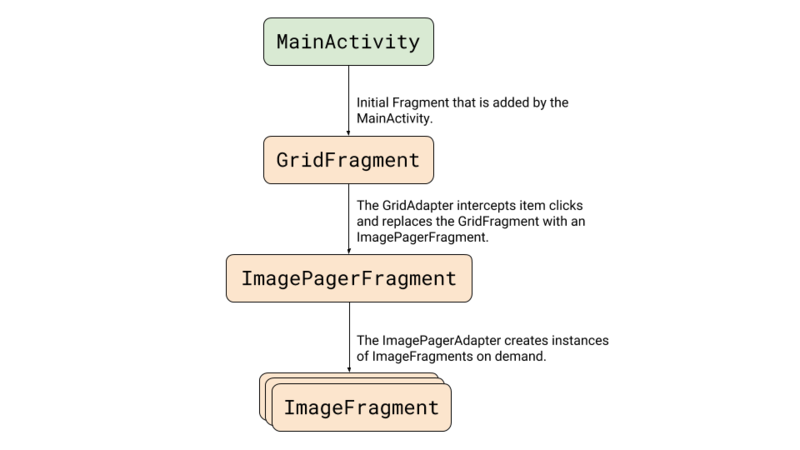 setTransitionName is called when binding a view at the grid's RecyclerView adapter, and onCreateView at the ImageFragment. In both locations, we use the unique image resource as a name to identify the view.